Cookies and the holidays go together like sleigh bells and reindeer, a fireplace and stockings, or mistletoe and kisses. Unfortunately, these sugary treats can also go together with overindulgence and an expanding waistline. But they don’t need to. Whether frosting cutouts of trees, bringing a dessert to a party, or making that special batch you’ll leave for Santa Christmas Eve, here are some tips for how to make your holiday cookies as healthy as possible. Cut the sugar. In addition to sweetness, sugar contributes moisture, fluffiness, and that golden brown outside as well. You can usually get away with reducing sugar by ¼ to ½ in most recipes, however. If making cookies, like sugar cookies, which rely almost entirely on sugar for their flavor, consider switching to cookies that also use cinnamon, unsweetened chocolate, pumpkin, molasses or other ingredients to enhance their flavor. Swap the fat. Butter or vegetable shortenings are higher in saturated fats. Using unsaturated fat instead of saturated fat is a great way to support your cardiovascular health. You can substitute oils like canola or grape seed for half the butter in most recipes with no change in the final product. Applesauce is also a common fat replacement but at ½ the calories, 3x the fiber, and 6x the protein, I prefer pumpkin puree. You’ll only need ¾ the amount of pumpkin as you would butter. Boost the vitamins, minerals, and fiber. Sugar, refined flours, oil…there’s one thing missing in these key ingredients for cookies and that’s the nutrients your body needs most – vitamins, minerals, and fiber. Look for recipes that use fruits and vegetables (applesauce, apricot puree, raisins, carrot, zucchini, pumpkin…) along with whole grains and nuts (whole wheat, oats, quinoa, walnuts, almond flour, chia…) to boost the nutritional value of your cookies. Reduce your portions. Now that your cookies are lower in sugar, have healthy fats, and are richer in vitamins, minerals, and fiber, you’re allowed to eat as many of them as you like, right? Not exactly. Keeping your total daily calories within healthy bounds will still require some restraint. Cut the recipe in half, make your cookies smaller, and eat them only after your meal so they don’t take the place of other healthier foods. 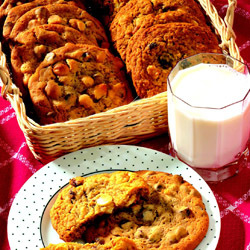 Cookies can be a great way to enhance the holiday season. Use these tips in your next batch to ensure that they also support your health and wellbeing. 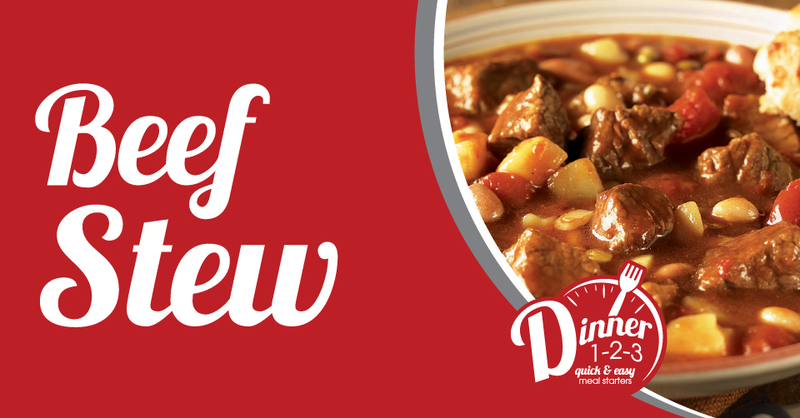 Try this Hearty Beef Stew from McCormick. Everything goes in your slow cooker! 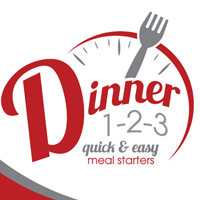 Do you need an easy dinner idea? 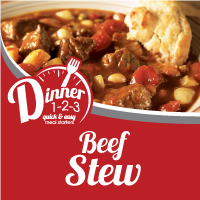 Try our Dinner 1-2-3 slow cooker recipes from McCormick! Easy meals and great taste. McCormick slow cooker sauces allow you the time you need to make a great tasting dinner and have a meal with your family on busy nights. 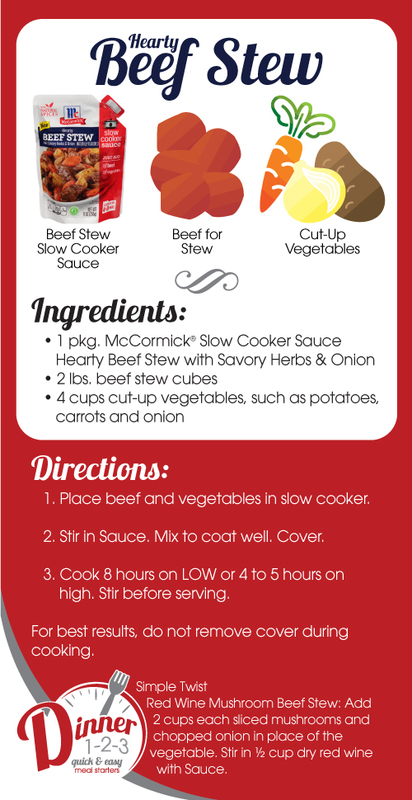 Look for the Dinner 1-2-3 signs to find the McCormick slow cooker sauces in our store and plan your dinner for tonight! They have sauces for all of your favorite dinners and remember to stop by the meat department to pick up all your ingredients. 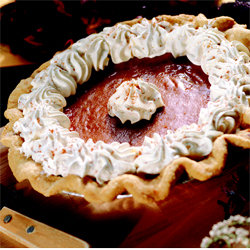 A delicious, buttery pie crust that will make your holiday pies a family favorite! 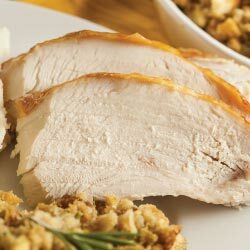 If you are looking for that perfect crust recipe you have found it! it is easy and can be made ahead to fit your busy schedule. Click here to get the recipe and watch this video to see how to make this delicious crust from scratch. We are excited to announce that Red Button Vintage Creamery has four new, limited-edition flavors this holiday season. Stop by and pick up Pumpkin Spice Cheese Cake, Cinnamon Chocolate Chip, Candy Cane or Eggnog. The limited-edition flavors were created based on hundreds of suggestions from Red Button Vintage Creamery fans and are ready just in time for the holidays. Whether you’re after the ideal finale for a holiday dinner, a late-night treat to enjoy in front of the fireplace or the perfect neighbor gift, Red Button Vintage Creamery ice cream is the supreme scoop of the season. To see all Red Button Vintage Creamery flavors or to purchase your Red Button merchandise visit redbuttoncreamery.com. Thanksgiving meal, brought to your car! Do you love Thanksgiving but dread doing the shopping? We’re here to help! If you live in Utah County, Macey’s anywhere is the perfect solution for you to shop for your big meal! Gone are the days of battling the cold weather or checkout lines, with Macey’s anywhere, you click, we shop and PRESTO! your groceries are brought out to your car. Just in time for Thanksgiving, Macey’s anywhere has expanded their pick up opportunities. The demand for our new service has been so incredible that we have added more pick up times per hour to meet your needs. You can shop today and schedule your pick up time up to a week in advance, how great is that?! 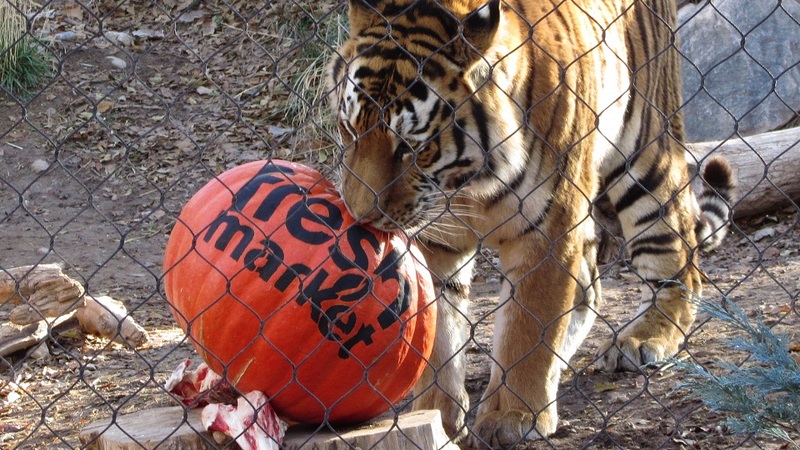 Visit any Fresh Market and pick up your buy one, get one free discount voucher for Feast with the Beast. 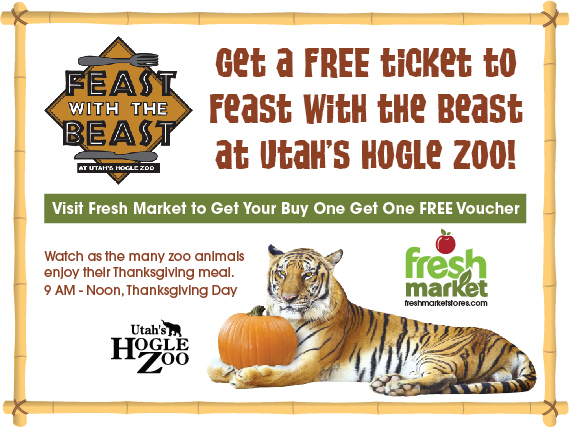 Join us for Utah Hogle Zoo’s Feast with the Beast, 9 AM – noon on Thanksgiving day. 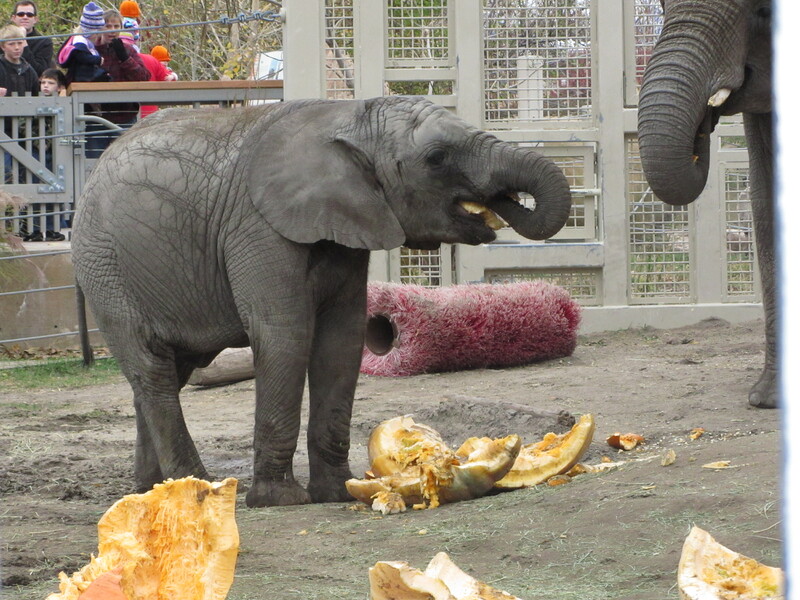 Watch as your favorite zoo animals enjoy a Thanksgiving dinner of their own. Welcome to Macey’s Employee Spotlight. The Employee Spotlight is a great opportunity to recognize the amazing Team Members that help make Macey’s a great place to shop and work. 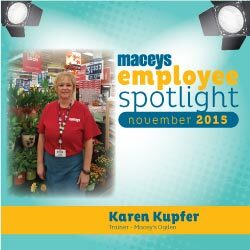 This month’s Employee Spotlight is on Karen Kupfer, Store Trainer at the Ogden Macey’s. With her bubbly personality and contagious laugh, Karen fits her position as Store Trainer perfectly. After starting as a cashier, she moved into cashier trainer and eventually moved into the Store Trainer position where she handles payroll, new employee orientation, HR and supervises the front end. Karen is one in a million and a definite asset to Macey’s, she does it all! Karen has been with the Ogden Macey’s for seventeen years. The people, friends and team members are what keep her working here. Her favorite part of her job is the new hire orientations. She loves introducing new employees to Macey’s and working with all of the different store departments. Karen doesn’t just enjoy taking care of new employees; she also truly loves assisting store guests. She spoke of a time when she was helping an elderly lady out to her car. The lady realized that her keys were locked inside. The lady tried to call her husband to help her but was unsuccessful. Instead of leaving the guest to deal with this on her own, Karen drove her to her house to get a spare set of keys. If that isn’t great guest service, I’m not sure what is. Karen’s favorite item at Macey’s is the fresh salsa from our produce department and it pairs nicely with the Macey’s tortilla chips. Her Macey’s experience tip: Shop our fresh departments. We have a scratch bakery, fresh ground beef in the meat department and fresh salads in the deli. To watch a video and to get additional tips visit the Norbest website by clicking here.